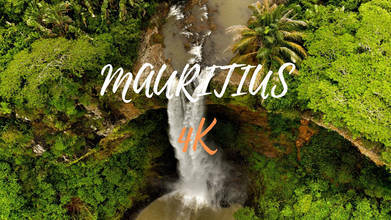 Using just about every DJI product possible to create this beautiful, cinematic 4K definition drone video of his trip to Mauritius, dronesantana007 does a wonderful job capturing the island’s allure. Located on the Indian Ocean, the East African nation is known for its beaches, lagoons and reefs. Thanks to the DJI Mavic 2 Pro, the DJI Osmo Pocket, and more we’re all able to enjoy its abundant beaches, blue waters, and lush hillsides. Description: I hope you like my video of the drone images I took during our Mauritius vacation. Social Media Instagram : http://www.instagram.com/santana007 http://www.instagram.com/dronesantana007 Facebook : http://www.facebook.com/santana007 Airvuz : https://www.airvuz.com/user/dronesantana007/videos ________________________________________________________ Booking discount : https://www.booking.com/s/11_6/tolga613 Airbnb discount : https://www.airbnb.com.tr/c/tolgag41?currency=TRY ________________________________________________________ My Filming Gear DJI Mavic 2 Pro: https://bit.ly/2DaFKqn DJI Osmo Pocket: https://bit.ly/2ALnAd0 ________________________________________________________ DJI Spark: https://bit.ly/2HgGFth DJI Mavic Air: https://bit.ly/2SSriIQ DJI Mavic Pro: https://bit.ly/2AMb4db DJI Mavic Pro Platinum: https://bit.ly/2Mb9dmO DJI Goggles; https://bit.ly/2TP8ZV9 DJI Zenmuse X7: https://bit.ly/2HnvIWK DJI Inspire 2: https://bit.ly/2QNjO8c DJI Zenmuse X5R: https://bit.ly/2suanAS Ronin 2 Pro Combo with Ready Rig and ProArm Kit: https://bit.ly/2CnZeWV Educational discount on Mavic 2 - Enjoy 10% Off: https://bit.ly/2VTqa9I _______________________________________________________ MY EQUIPMENT DJI Mavic 2 Pro DJI Osmo Pocket Sony Fdr X-3000 Lg 360 Cam Ipad Pro 1st generation Please don't forget to give it a big thumbs up. If you have any questions, feel free to comment below. Thanks for watching and please don't forget to subscribe to be notified on new videos. All my videos are licenced to company so please contact me via by santana007@gmail.com , thank you .